Editor’s Note: This article refers to Tulane sororities which fall under the umbrella of the National Panhellenic Conference. It does not cover the National Pan-Hellenic Council, a historically black Greek organization, nor does it refer to professional fraternities, LGBTQ+ Greek life or honor societies. Last semester, Tulane University’s Panhellenic Council announced the creation of a Diversity and Inclusion Committee with the mission to “focus on celebrating (AND RECOGNIZING) every sorority woman, regardless of her race, ethnicity, nationality, sexual orientation, religious/spiritual background, socioeconomic background, and citizenship status.” While Greek life is a great place for scholarship, leadership and community for many Tulane women, a substantial number of others do not feel that Greek life is the place for them. While the mission of the committee is well-intentioned, it has a long way to go if it wishes to ensure an inclusive Greek system. This journey involves breaking down a large number of barriers, both formal and informal, which hinder participation for diverse and low-income individuals to join in Greek life at Tulane. 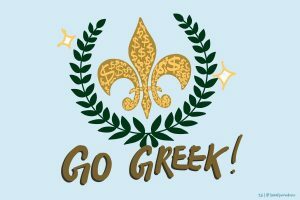 To determine how much a woman must spend to participate in Greek life at Tulane, I reached out to several finance chairs in every sorority on campus to get an approximate idea of sorority expenses. I found that if a woman chooses to rush a sorority at Tulane, she must pay a $70 recruitment fee. If she is accepted into a sorority, she must then pay approximately $1,000 in fees and dues during her first semester. After the first semester dues fall to approximately $670. Over the course of three and a half years, the total cost of dues alone in a Greek sorority works out to about $5,070. This $5,070 does not include “unofficial” expenses such as big-little gifts, outfits for date parties and formal attire. 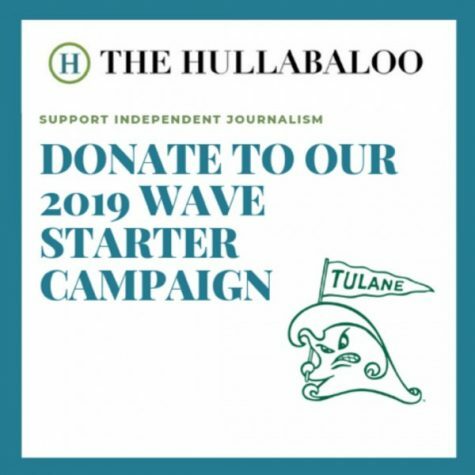 If a Tulane woman wishes to take a job on campus to help defray the cost of her dues, she makes on average $7.25 per hour. With taxes, the net amount will be less, but for simplicity purposes, let us just work with this rate. So, if a woman wants to self-finance her Greek experience, she will need to work approximately 700 hours, before taxes, to cover her dues. Working 700 hours in combination with being a full-time student with extracurricular activities seems a nearly an impossible task to bear. But this is an unfortunate reality many women at Tulane face to be involved in Greek life. Besides formal barriers to access, there exists a number of informal barriers to Greek involvement at Tulane. These informal barriers are no secret to the Tulane community. First, to the outside eye, there is an overwhelming absence of women of color in Greek life. Observing the recent social media posts of all nine sororities at Tulane, I found it nearly impossible to identify any women of color in any posted profile. Optics such as these serve as a huge deterrent for potential new members. Second, as a woman with many friends involved in Greek life, I have heard the phrase “ranking does not matter” over and over again. 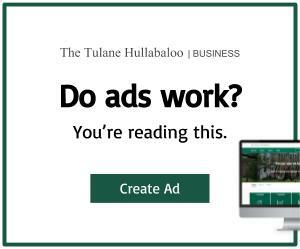 Yet Tulane’s informal ranking system is a highly-discussed part of the sorority recruitment season. Under this “ranking” system, certain Tulane sororities are categorized as “top-tier,” while others, for reasons I do not understand, are classified as bottom or middle-tiered. Tier systems such as these are supported by websites such as Greekrank.com, where Tulane students can describe and rank sororities in seemingly subjective categories such as popularity and “classiness.” Although a sorority’s ranking may not play into the entirety of a women’s sorority experience, it may dissuade women who are unsure about Greek life from participating in a hierarchical system. Lastly, although I cannot conclude whether certain sororities recruit on the basis of appearances, it is a sad reality that many women in some sororities share certain similar physical characteristics while others do not. While these characteristics may or may not have anything to do with the sorority recruitment process, these optics potentially serve as a huge deterrent for women who do not share the same physical attributes of the women in the sorority they wish to join. It also makes sorority rejection feel even more personal. These, and many others not discussed, are the many barriers that individuals from diverse socioeconomic and cultural backgrounds face in order to participate in Greek life at Tulane. The Panhellenic Council Diversity and Inclusion Committee has a number of hoops to jump through to make Tulane Greek life a more inclusive place for female-identifying Tulane students. Despite these challenges, the creation of this committee, coupled with an open discussion about the challenges Greek life may pose for women, is a good starting point for a more inclusive Greek community on campus. Plenty of women of color in PC 2019. Author is ridiculous.